Bobby Falcon, the Gemini. I’ll tell you about him in a little minute. But first about the Zodiac Sign of Gemini. First of all, they are born between May 21 – June 20. They are typically considered to be…. gentle, affectionate, curious, and adaptable….among other things, probably. They seem to like music and books, chats with nearly anyone, AND…..short trips around the town. I’m not just spit-balling here. This comes from one of those reputable Astrology Sites, that you find on the Internet. If you are a Gemini, and you concur… please let all of us know. Now. The downside. They have their weaknesses too. They can be nervous, inconsistent, and very indecisive. And, they really don’t like being alone or being confined. They aren’t so great at repetition and routine. Here is the big downer. Gemini represents two different sides of personality and you will never be sure with whom you will face. So, that’s a brief overview. Now. Back to Bobby Falcon. His full name is Captain Robert Falcon Scott. (Born June 6, 1868) See? The dude’s a Gemini. Now if his name sounds familiar, it is because he was an English Royal Navy officer. But that’s not the big famous part. More notably, he was the explorer who led two expeditions to the Antarctic regions. The first was the Discovery Expedition, 1901–1904. The second, was not so great. It was the ill-fated Terra Nova Expedition, 1910–1913. 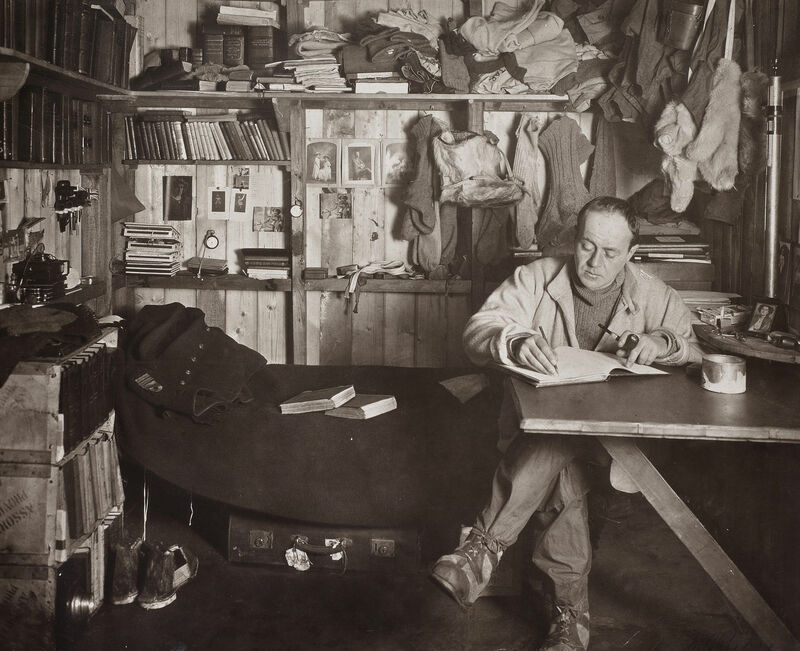 On today’s date, in 1912 he was in a storm-bound in a tent near South Pole… writing in his diary. His expedition successfully made it to the South Pole, but another team beat him. Those guys were from Norway. They were probably more used to the cold, I bet you. They beat Scott’s team by about 5 weeks. They didn’t find his diary or his body until November. But once the world found out he had died on this noble endeavor, he was heralded as a hero. A big whopping hero of mega-ton proportions. But as they say, what goes up, must come down. In the early 1970s, people started reviewing this bit of history. Several books appeared, each of which to some degree challenged the prevailing public perception. Most of the books observed that his planning was “haphazard” and “flawed”, his leadership characterized by lack of foresight. More comments from the books said that Scott had a complex personality which failed the expedition. And finally, most of these…..summarized Scott as “confused and demoralized … an enigma to his men, unprepared and a bungler”. So. What’s my point? Besides the notable entry from today’s date. Well, we are back to the “life purpose” topic. If you want to be an explorer, let’s hope you are not a Gemini. It said in their description that they like to “wander about town.” That’s good for a Gemini. Go to the Ice Cream Shoppe. Wander there and back. 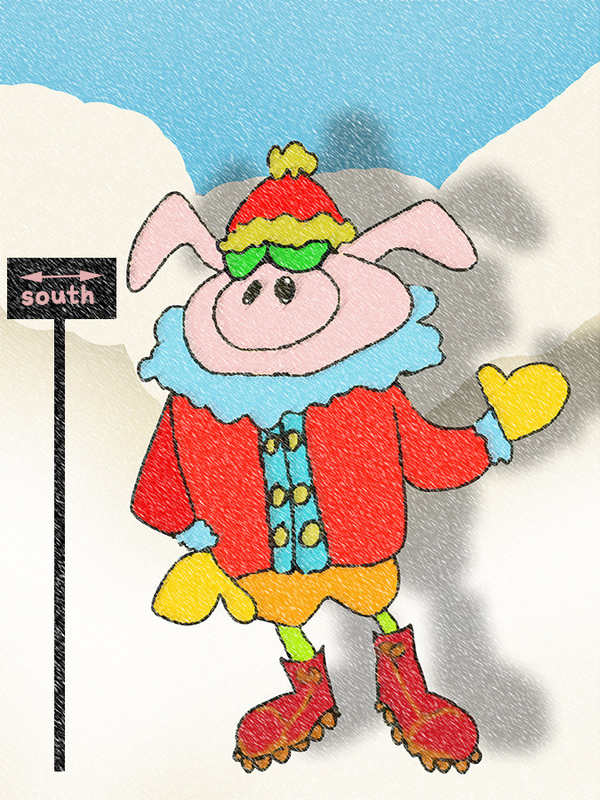 If you want to take an expedition to the South Pole, you’d better be an Aries. Or a Penguin. It is good to know what you want to do. But it is better, probably, to know who you are first.